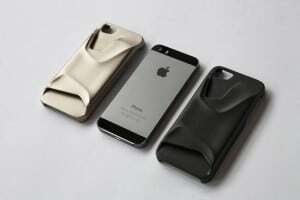 Phone cases are a very necessary accessory, particularly for people who rely heavily on their phones. Phone cases can carry a number of different benefits if you know what you’re looking for and make an informed purchase decision. A good place to start is online at a retailer devoted to accessories like this, where the selection will be the most broad. This will let you get hold of a variety of options to choose from and give you an idea of what all is available. The first thing to decide on is the practical ramifications of the case, if any. If you’re looking for a case that will protect the integrity of your phone, you’ll want one that is shock-resistant up to a certain point. If you’re looking for a case that can protect your phone from water, you’ll want to look into waterproof cases. This always has to be your first point of examination. It will constrain your options greatly compared to any other individual factor about phone cases. It’s harder to find a waterproof or shock-resistant case in a given aesthetic style than it is to find a case that looks how you want. The next thing to consider is your price point. Phone cases vary greatly in price. The cheaper cases aren’t designed to last as long as the more expensive cases. The primary difference in their quality stems from the materials used to produce them. Cheaper cases use cheaper plastic that will look nice but not last as long. The polymers used in higher-quality cases will often be physically stronger than the materials used to make the phones themselves, and last quite a bit longer. If you’re only looking for a visual change of place, you may want to go with a cheaper case that you can replace on the fly. If you’re investing in something that you’ll hold onto for quite some time, perhaps a sturdy, simple case for a business phone, you’ll probably want to go for a higher-end case that offers a warranty. Summarily, phone cases are useful and shouldn’t be overlooked as an accessory of both aesthetics and utility. It’s easy to find cheap phone cases online through dedicated retailers, so you’ll be sure to find the case that suits your style if you look. Whether you need something practical and protective or just want something stylish, phone cases are a fantastic accessory. Next: The Best Business VoIP APPS You Need Now!